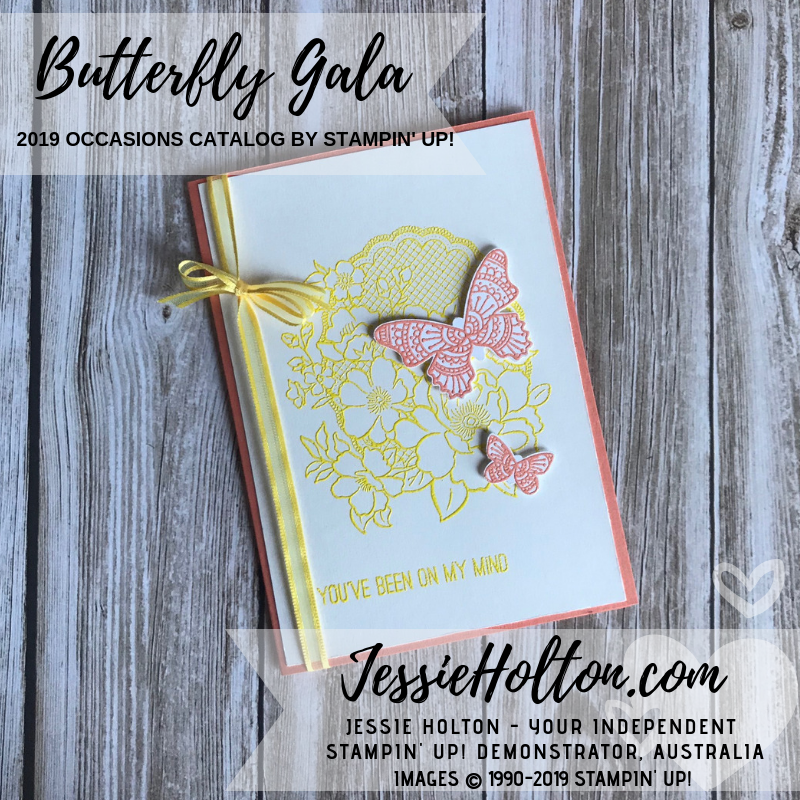 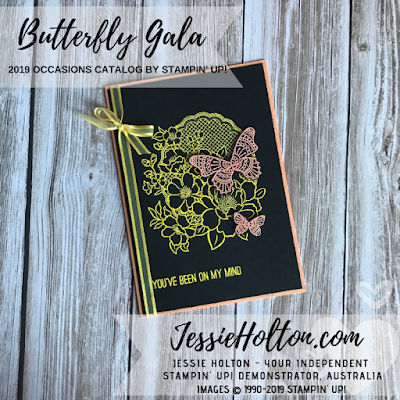 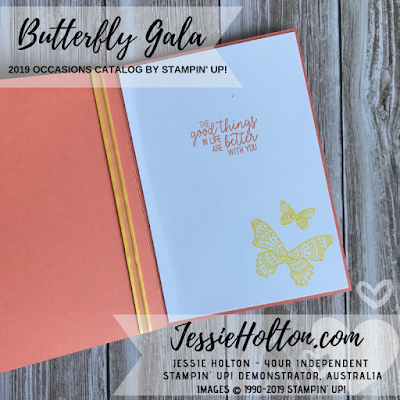 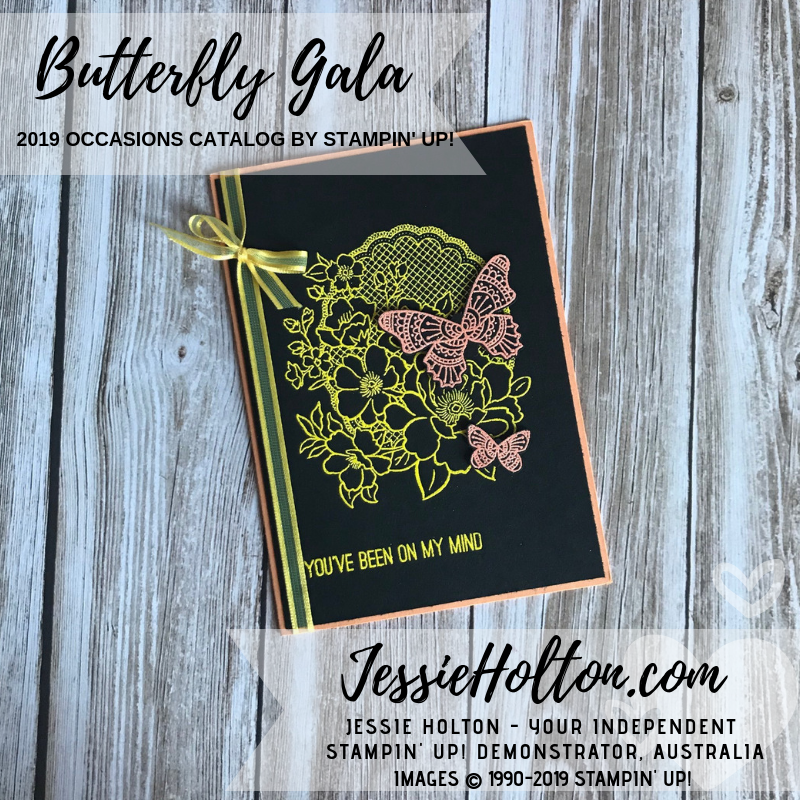 Today I'm showing you the Butterfly Gala Bundle with Lovely Lattice Stamps & Brusho Crystals, with Clear Heat Embossing for the background & Copper Heat Embossing for the butterflies. 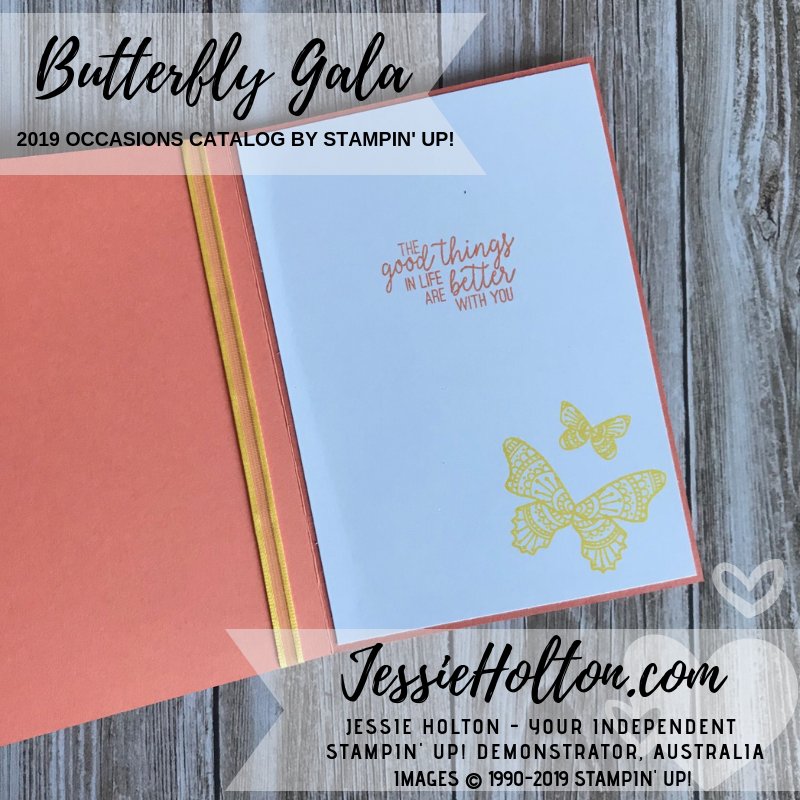 We also made one using the 2018-2020 In Colour Heat Embossing Powders. 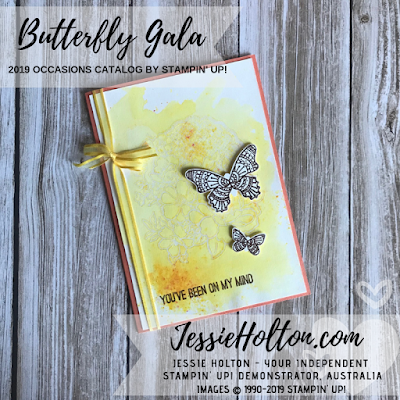 And just to show how bright & beautiful the colours really are, I made an additional sample on Black. I have used Pineapple Punch & Grapefruit Grove. 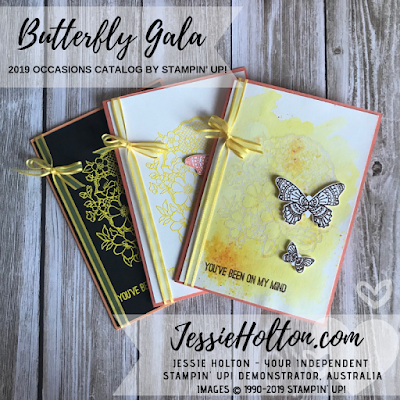 The Organdy Ribbon (pack of 5 ribbons & coordinates with Gingham Gala Designer Series Paper colours) & the Lovely Lattice Stamps are freebies you can choose in the current Sale-A-Bration promotion when you spend $90 in my online shop. 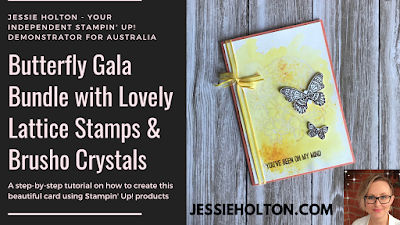 I hope you have enjoyed my projects today & that they have inspired you to get crafty! 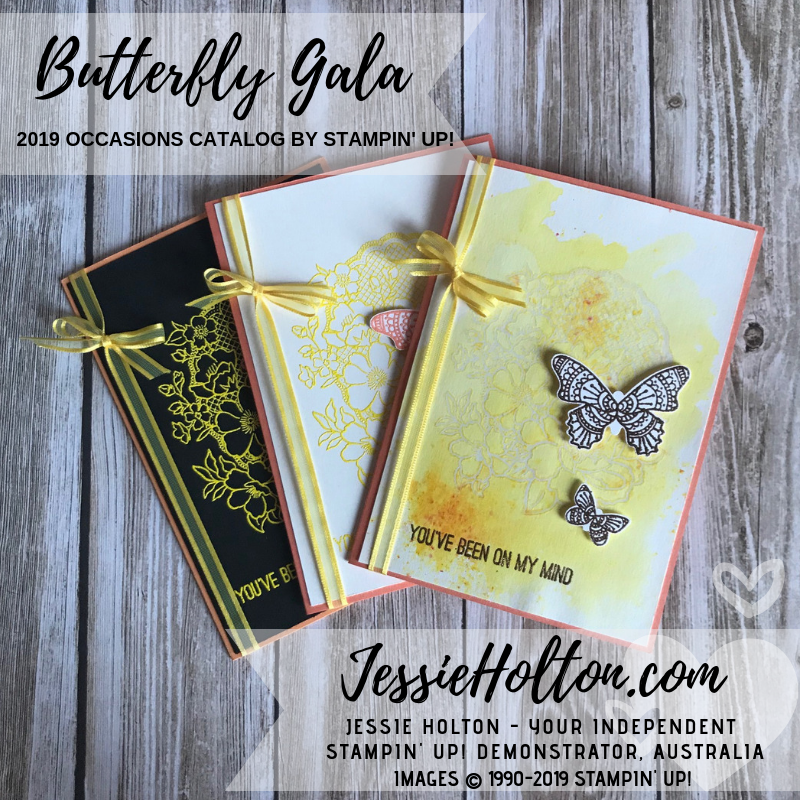 Please see the link below to purchase these products from my Online Shop & get spoiled by me!